I'm really happy to find myself in the position of enjoying a few days off starting from today, so I'm here to share with you my joy and one of my latest exciting watching experiences, which may fit the somewhat-dark merriment of today. 2. I'm definitely not attracted to things macabre and gloomy. But ... there's always a BUT, isn't there? I've been unexpectedly enjoying a show that may be the perfect pumpkin in your Halloween special -things-to-do list, if you are not going to a party and are planning a stay-at-home celebration, alone or with friends. 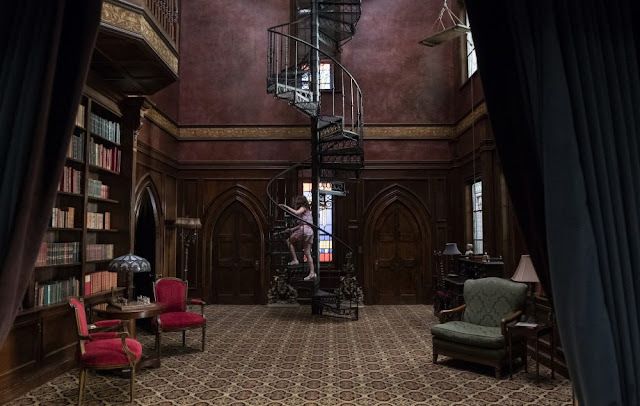 Here's my treat: The Haunting of Hill House on Netflix. I am the first to be puzzled by my suggestion since I never thought a horror show about a haunted house could be something worth watching. But now I'm sure I never thought that, not because I had never seen one before (NE-VAH! ), but because I had not seen this one yet! 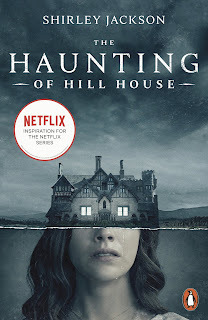 Very loosely based on Shirley Jackson's 1959 gothic horror novel of the same title, The Haunting of Hill House was released globally on October 12th by Netflix. It is a 10-hour series, it is directed, written and produced by Mike Flanagan and it is so much more than a plain scare-jump rollercoaster! I was totally in awe - and obviously also scared - while watching it, in just two sessions and as soon as it was available online. 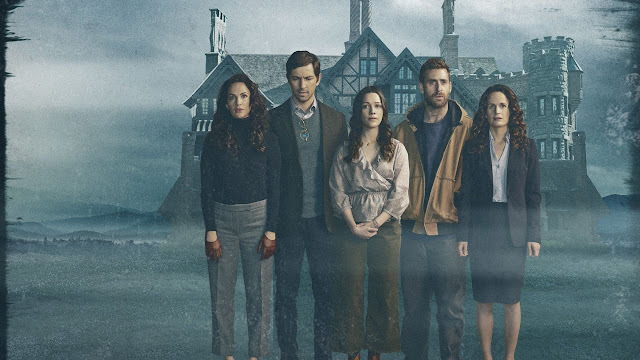 First of all The Haunting of Hill House is a stunningly accurate and rich production, which is unusual for horror movies, and it has an incredibly talented cast as well, which is indispensable to successfully render the deep psychological insight into the complex characters populating the story. 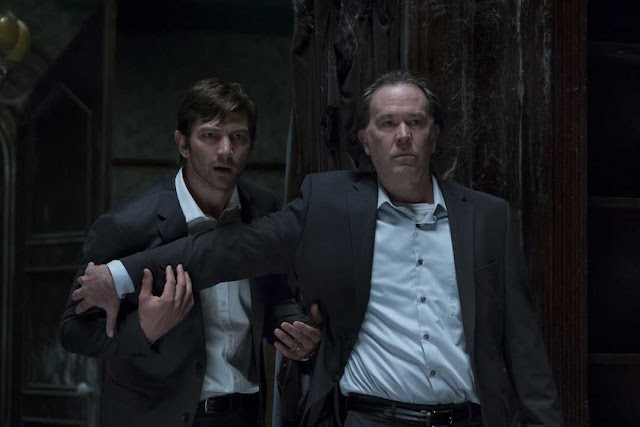 The ensemble cast includes Oscar winner Timothy Hutton, Carla Gugino, Henry Thomas, Michiel Huisman, Elizabeth Reaser, Oliver Jackson-Cohen, Kate Siegel, Victoria Pedretti and a group of very cute, professional children actors. Little Nell doesn't want to sleep in her room, so Olivia sleeps with her in the sitting room. But the bent-neck lady knows! 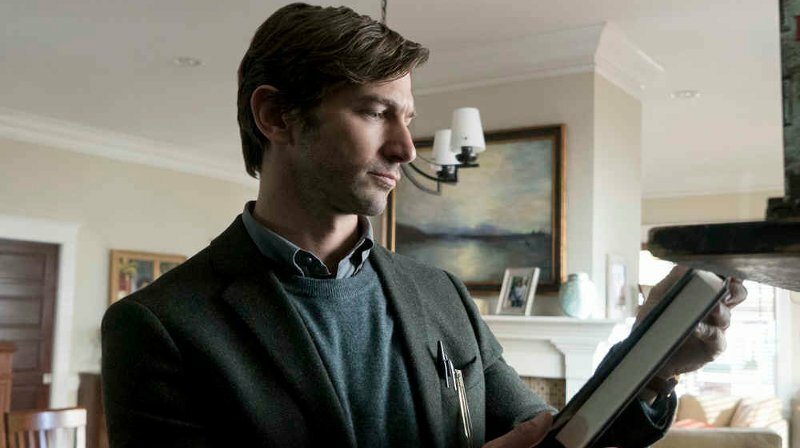 Steven (Michiel Huisman) - The famous paranormal author who doesn't believe in ghosts. Theodora "Theo" (Kate Siegel) - The child psychotherapist with ESP skills activated through touch. Luke (Oliver Jackson-Cohen) - One of the young twins struggling with drug addiction. Eleanor "Nell" (Victoria Pedretti) - The other young twin, the most traumatized of the 5 siblings, coping with depression and grief. They are all gripping characters you will be drawn to love. Their story-lines and their dialogues or monologues are so well - written that you immediately start to care for them and you are terribly frightened, if not for yourself, for their safety. And this was the trick that swept me off of my feet and made me love a terrifying experience like watching this series: the focus is on the psychological effects which living in a haunted house for a few weeks has on a lovely, loving family. The ghosts and the nightmares, the apparitions and the mysterious events are only part of the Crain family's greater drama. How did I cope with the most frightening scenes? Not very well, actually, that is to say, jumping and screaming, although I had tried to get myself ready with some defensive techniques. - Before I started seeing the series I had watched all the featurettes and cast interviews - actors telling behind the scenes anecdotes or explaining how they shot certain particular scenes - and I kept them in mind while watching, in order to remind myself that what was scaring me was just fake, that it was all about acting, that it was just a TV series. - I covered my eyes when I really couldn't make it. What scared me the most? The bent-neck lady haunting little Nell's nights and generally the creepy atmosphere in the house. 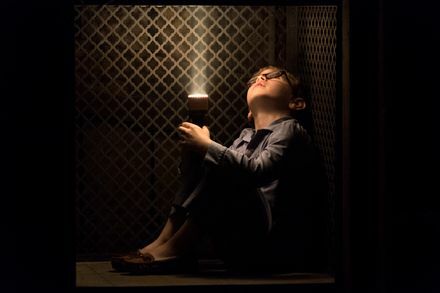 And, of course, this scene below with little Luke in the dumb elevator! Young Luke asks young Theo to help him go for a ride on the dumbwaiter. Wrong direction, though! 10. A very satisfactory finale which leaves you satisfied, moved and very happy you made it alive! It's highly bingeworthy material! And if you haven't subscribed to Netflix yet, you can always use the one-month free trial subscription they offer! P.S. If any of you is wondering how a period drama lover who had always been picky when it came to horror stuff ended up watching this series, well, I'll tell you but ... KEEP IT A SECRET! 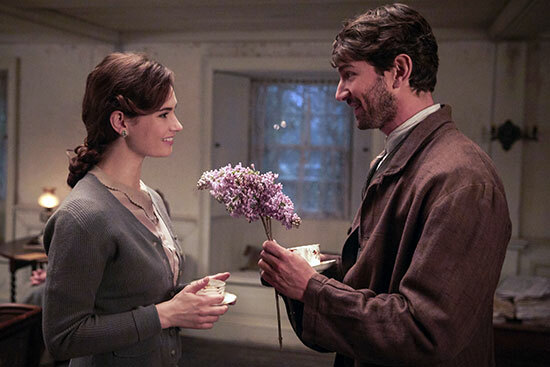 Everything started with The Guernsey Literary and Potato Peel Pie Society and a certain fascinating Dutch actor playing sweet, handsome Dawsey Adams, whom I had never seen before in anything at all. Well, now I'm quite the expert fan, instead. I've been catching up with his filmography: 2:22, The Ottoman Lieutenant, The Age of Adeline, The Invitation, Irreplaceable You and even some episodes of Game of Thrones, Nashville and Orphan Black. I blame you, Michiel Huisman!